Immediately on entering the “30 limit” turn into the Free Parking area on your left. The Community Centre is on your left. Continue along through the main street, passing into Liddicoat Road. Soon after passing “The Royal Talbot” on your left look for the Free Parking area signposted to your right. 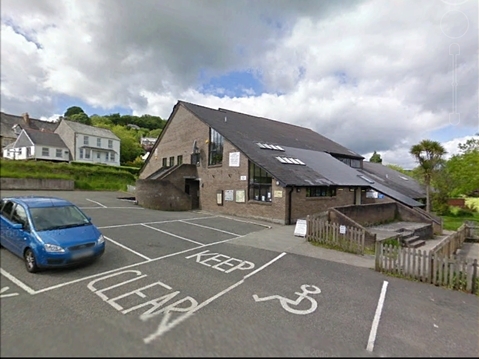 Turn into the car park; the Community Centre is on your left.